The Barka (meaning lifeboat) organisation was established in 1990 to help the many destitute and homeless people in Poland meet their housing and employment needs after the collapse of the communist system. Using its philosophy of encouraging mutual self-help, it now provides homes for 750 persons in a variety of community homes, hostels, private flats and one-family houses and through its various housing, education and vocational training programmes has assisted over 50,000 people in the last ten years. It has established 25 income-generating enterprises to date, as well as restoring two redundant large state farms and pioneering organic agriculture. Partnership working with local municipalities and businesses has created sustainable employment opportunities and the various activities undertaken by Barka over the last 20 years have had a major influence in facilitating the emergence of civil society and social enterprise in post communist Poland. Barka is increasing being asked to work in large European cities, helping destitute East European migrant workers, either to return home or settle into their new society. The overall objective of the project is to house, support and train destitute, homeless and socially marginalised people in both urban and rural areas of Poland in a socially, economically and environmentally sustainable manner. Barka’s work has developed along two parallel lines. Firstly, the rehabilitation of those rejected by society and secondly, mainstreaming of the approach through building local partnerships with public, private and NGO sectors and educating local leaders to create local activities and markets. With the breakdown of the communist system in the late 1980s, many individuals were unable to cope with the more independent form of living required. This led to alcoholism, extreme poverty and acute social vulnerability and many found themselves homeless, often having to live on the streets. At the same time the collapse of the collective farming system saw large-scale dereliction in the rural areas of Poland, with many thousands of hectares of land, as well as farm buildings, abandoned and neglected. Homelessness and a desperate shortage of dwellings are the main housing problems faced in Poland today. Officially there are said to be over 50,000 homeless people, although unofficial estimates put this at nearer 300,000. With only 20,000 places in homeless shelters and half-way houses there is a severe lack of suitable accommodation and the current social care system struggles to cope. Barka works to assist the socially vulnerable including the long-term unemployed, homeless persons and those suffering from substance abuse, as well as migrant workers who come back home to Poland and find themselves without anywhere to live. Barka currently offers accommodation to 750 persons in communities, hostels, private flats and one-family houses, all of which are run as extended family homes rather than institutions. There are currently 30 Barka communities established throughout south-west Poland and 14 vocational workshops which provide general education as well as skills training. 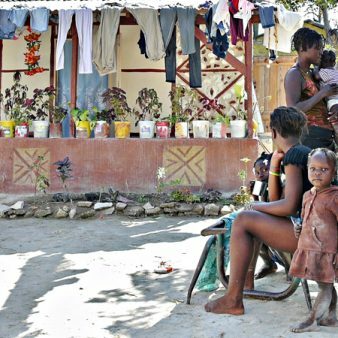 Some of the residents spend only a year or so with Barka to get back on their feet, typically while they are being treated for alcohol addiction; those who have deeper-seated problems prefer to continue living and working in the community. Physical and mental health has improved for those living in Barka Foundation homes, through the mutual self-help philosophy. The combination of hard work and human interaction has proved for many individuals to be a miraculous recovery from addictions and many residents go on to marry, raise children and lead productive lives. Those who are too old and frail to work are supported by the communities. All residents are involved with the decision making in their communities and each community is economically self-sufficient, through the various activities carried out by the residents. In 1997, the Barka Foundation purchased and restored a historically significant manor house for use as a cooperation centre where conferences, seminars and workshops are organised for exchange of experiences among Western and Eastern European organisations working with the poorest people in society. In 1999, a further 400 ha of land with the old farm buildings of a former state farm complex were rented. The buildings were partly restored using local volunteer labour and provide 24 apartments. The land is farmed organically. In 2002 the programme for accessible housing was started with the development of the Darzybour Settlement in partnership with the local and national government. This has provided 32 apartments and has been widely copied by other local authorities throughout Poland. A Barka school using the Danish Kofoed system of linking social help for the poorest with education was opened in 2004 and is now funded by the national government as one of the eight Centres for Social Integration, providing social and vocational reintegration for 250 persons a day. It has served as a model for the creation of similar centres in Poland and abroad and currently has a waiting list of 814 persons. Crisis centres are run in winters for those on the street. Mainstreaming of the Barka approach is an important component of the project and this is carried out through the creation of partnerships within local communities to help develop greater awareness and opportunities for Barka residents. To date, 18 such partnerships have been established and the national government is funding the development of a further 100 such partnerships in the poorest communities in Poland. Barka’s network of private business, educational institutions, housing companies, local authorities representatives, social partners and churches have all been involved in the development of new projects. A range of grant-making organisations have been involved with the development of this programme over the last 18 years, including UNDP (Small Grants Programme), the Cooperative Netherlands Foundation, the Henry Ford Award for People and the Environment and hundreds of small private donations of goods, tools, materials etc. Barka’s income in 2007 was $2.2 million, 25 per cent of which was generated by Barka’s self-supporting social enterprise activities. Other current sources of income include the European Social Fund, local municipalities including Poznan City Council and the Velux Foundation. 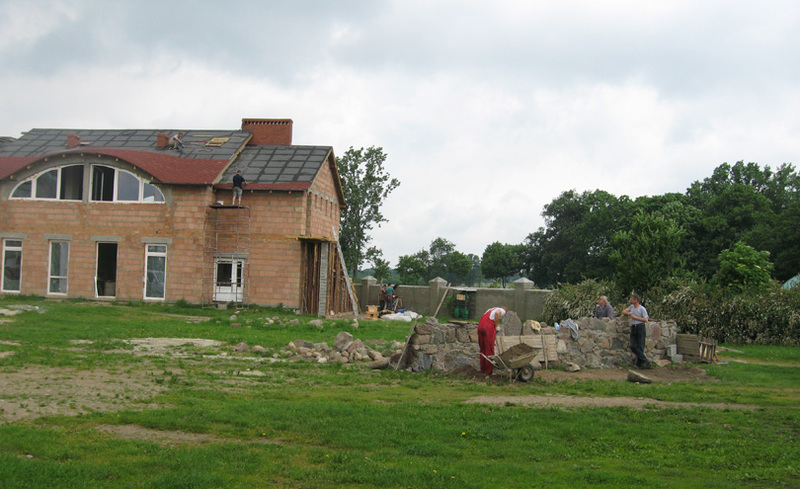 The costs of renovation and restoring accommodation were met by sources including local municipalities and the Polish Ministry of Housing and support for social integration programmes in 100 of the poorest local communes in Poland comes from the Polish Ministry of Labour and Social Affairs, local authorities and social and private partners. A total of 50,000 people have benefited from the project in the last ten years and permanent accommodation and support is currently available for 750 people. The quality of life of the beneficiaries has significantly increased with improved health and living conditions, as well as the development of a sense of self-belief and self-reliance and of regaining a place in society. Twenty-five social enterprises have been established and a further 35 are in the process of being created. The creation of employment opportunities that also serve to improve the environmental quality and increase biodiversity. Barka’s work has lead to the emergence of civil society and a social enterprise sector in the post-Communist era in Poland and also brought changes in the Polish welfare system, helping it to become more active and client focussed. 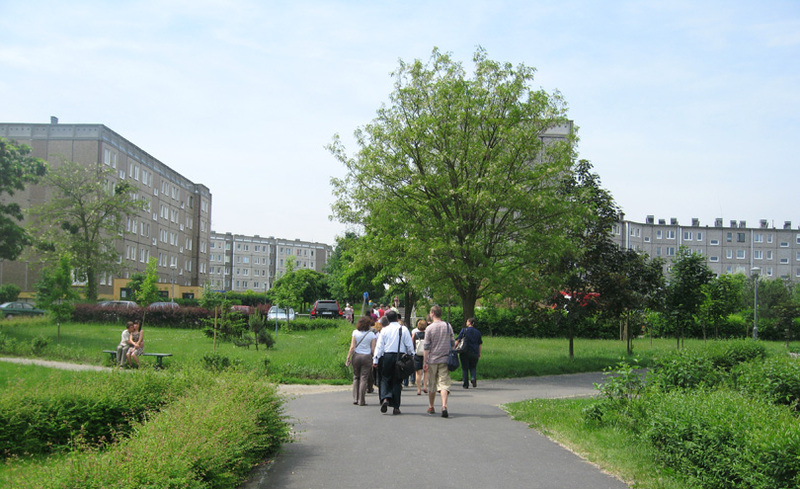 Barka has played a key role in bringing four key pieces of national legislation into being which support the development of civil society and social enterprise in Poland, address the problems of social exclusion with the creation of eight Centres for Social Integration and providing financial support for social housing organisations. Recognising and developing the potential of those who are socially excluded and involving those who overcame their social problems in the support of others. Abandoned dwellings and blocks of apartments acquired by Barka are typically in very poor condition, lacking floors, sewerage and electricity, uninsulated and with leaky roofs. These are renovated, including full insulation and brought back into a condition that is fit for human habitation. Local materials and labour are used wherever possible in order to provide low-cost and environmentally friendly accommodation. Environmentally sustainable heating systems have been installed in five of the largest Barka buildings. The installation of a biomass heating system in the Old Manor House reduced air pollution compared to the previous sulphurous coal-fired system (reducing sulphur dioxide emissions by 90 per cent, nitrogen dioxide by 60 per cent, carbon monoxide by 15 per cent, and there is now 50 per cent less dust and 100 per cent less soot). Sustainable willow plantations have been created to provide the necessary fuel. Barka has similar boiler plants in four of its community houses to date and is promoting the transfer from coal or gas fired boilers in all areas near forests and sawmills. A pioneering organic farm was established on 400 ha of land of a former state farm. Among other activities there is breeding of goats, sheep, rabbits and rare breed native pigs, as well as the reintroduction of native fruit trees. Currently each community is self-sufficient. The income to run the houses comes from economic activities carried out by the residents. Those who have a steady income pay rent; those who do not earn an income contribute their labour. There is an emphasis throughout the project on social enterprise and being economically sustainable. Many different social enterprises have been established to date, including second-hand shops and furniture renovation, rickshaws, recycling, provision of security for buildings and parking facilities, hairdressing and beauty therapy, organic farming, a recreational centre and catering services. Metal recycling currently employs 50 people. Capacity building and training programmes are all part of Barka’s mutual self-help programmes which helps to improve people’s ability to participate in their community’s life and decision-making processes. All Barka communities are based on partnership and responsibility, where residents share household duties and discuss all important problems and decisions. Even the older and frailer members of the community are encouraged to take an active role. Fourteen vocational training centres which train Barka residents in a range of skills, including construction and agriculture. 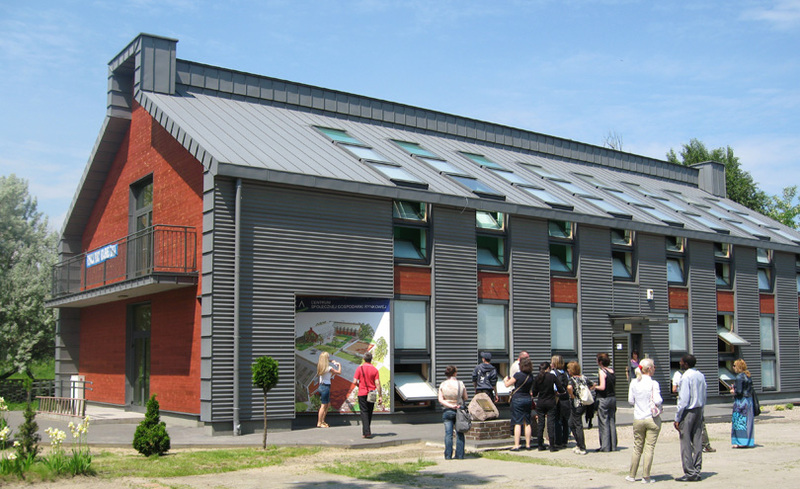 The Barka Centre of Social Integration in Poznan delivers educational programmes to 200 vulnerable people annually. Training for potential Polish entrepreneurs is provided in collaboration with other countries (Scotland, Italy, Belgium and Finland) in order for people to learn about new techniques, standards, management, organisation, marketing and financial support. Barka works with local communities facing poverty, helping to set up social cooperatives to generate an income. The Centre of Social Economy establishes ten social cooperatives and 100 new work places annually. Residents and organisations in the local communities are also involved with the project. For example, local businesses, churches and other organisations are very supportive with gifts of money, food and clothing which Barka is able to distribute to those in need in the locality. The renovation of abandoned buildings and land in villages leads to an atmosphere of cooperation and respect between local residents and the formerly homeless people, who were once rejected by mainstream society, but who are now welcomed due to their role in the regeneration of the local area. Barka ‘leaders’ are trained. These are formerly homeless people who have been able to overcome their addiction problems and establish their own social enterprises. Education is provided to increase these leadership skills. Plans are currently being developed to build 20 individual homes for Barka leaders, half of the cost of which is put up by the leaders themselves. From 1989 to 2004, the main barriers faced by Barka were related to the complete lack of a civil society structure in post-communist Poland and the non-existence of any legal or institutional structures to provide affordable housing. With Poland’s entry to the European Union in 2004 the situation changed. The main obstacles currently faced are the shortage of affordable housing and the lack of trained staff and local leaders to work in the social reintegration and active inclusion fields. (Six million Polish people were lost in WWII and the communist era and many young people are now migrating elsewhere in Europe). The first generation of entrepreneurs in Poland’s market economy have no concern for social development. The increasing cost of land and buildings, for example the cost of land has increased 20 fold since 1989. Barka can still obtain these at a reasonable price due to its good reputation and it has a portfolio of properties acquired when land was very cheap. It is important to disprove cultural myths, for example, the myth that a down-trodden life cannot be changed. It is vital to empower beneficiaries to serve as assets to the organisation. Barka trains former residents of the homes to work within the organisation, as they have first-hand knowledge and understanding of the Barka model. It is important to renovate, reuse and resell wherever possible. Most importantly, it is vital to restore those people who were formerly abandoned. Barka carries out ongoing monitoring and evaluation of its work. Local and national academic institutions inclusing the Institute of Political Studies of the Polish Academy of Sciences have carried out independent reviews. Barka now operates in 16 villages in south-west rural Poland and is working in partnership with a wide range of organisations to deliver housing, support and development services to the socially excluded. 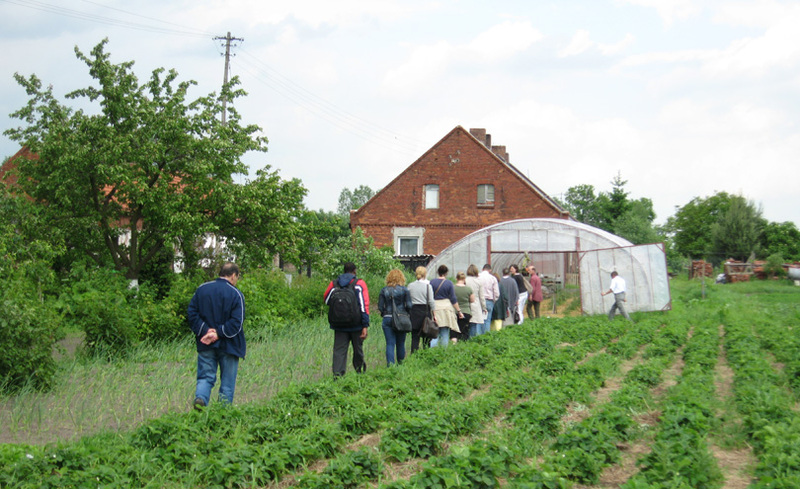 Between 2005 and 2008, 18 local communities have built local partnerships and established social integration programmes, including Krakow and Lublin. A further 100 communities will implement Barka’s models in the next four years (with national government funding). The housing model developed at Darzybour has been copied by four other local authorities throughout Poland (Bialystok, Gorzow, Wielkopolski and Zamosc) as well as in the Poznan area, for example, 170 apartments built at Nadolnik for vulnerable people. Since 2002 Barka has worked with the European Network of Migrants Integration Programme for the social integration of Polish migrants and local communities. This has been implemented to date in London, Dublin and Copenhagen. Currently 500 people benefit from this programme annually. It is anticipated that this will be extended to other London boroughs and European capitals by 2011. Similar models are also planned to be developed in Ukraine (Lvov and Kijev) and Belarus, where Barka has been working since 1999. Barka works in partnership with other international organizations under the EU-funded PROGRESS Programme 2008–2009, promoting one stop mobility shops and social enterprises and cooperatives as well as working on good practices in Europe in education of rejected groups of people (ex-prisoners, persons with addictions, homeless and other vulnerable people). Barka also plays an active role in encouraging knowledge transfer through the Schwab Foundation for Outstanding Social Entrepreneurs, FEANSTA (federation of European organisations working with the homeless) and the Committee of European Coordination. 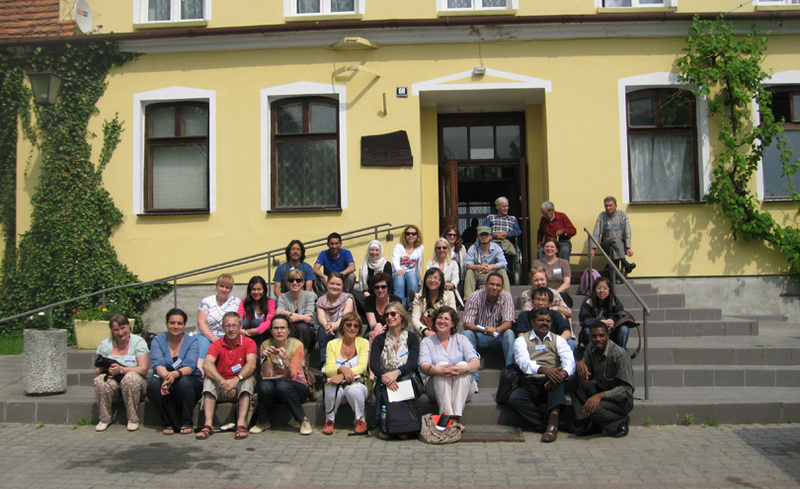 In 2010, World Habitat ran a peer exchange to the Building Partnerships to Eradicate Poverty in Poland. Details of the project, as well as additional technical documents, videos, images and the perspectives of those who took part in the peer exchange, offering a further insight into the programme is now available on CD-ROM. To purchase the CD, please click here.